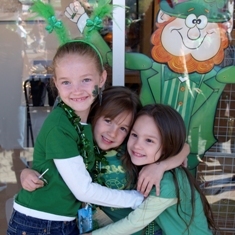 Celebrate the luck of the Irish at the 49th annual Southern Nevada Sons & Daughters of Erin St. Patrick’s Day Parade & Festival. This year’s parade theme is “love, loyalty, friendship,” and is accompanied by three days of celebrations including a carnival, festival, car show and live entertainment. Free admission; some activities may require the purchase of tickets. PreviousPrevious post:Water Street Business District Members: City Lights Art GalleryNextNext post:Water Street Rall-E!